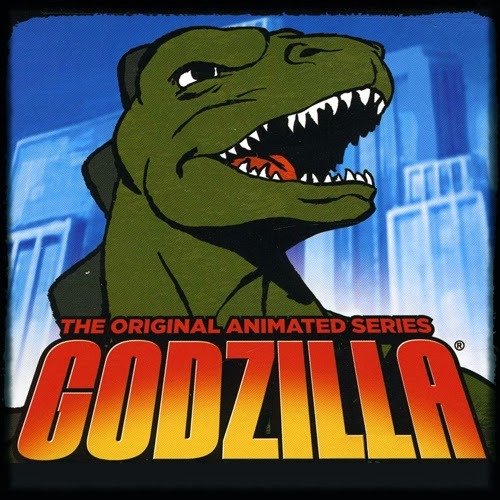 Godzilla is on call for the crew of the Calico in the original Animated series. For two seasons Hanna-Barbara and Toho released a 30-minute animated Godzilla series. It mostly revolved around a ship called the Calico led by Captain Carl Majors. Included in the crew was scientist Dr. Quinn Darien, her nephew Pete, her research assistant Brock. Godzilla's cowardly cousin Godzooky was the token 1980's comic relief. Think Bat-Mite (“The New Adventures of Batman”) or Scrappy Doo. Today in Godzilla history the finale episode of season one aired, you can read the episode descriptions below. If Saturday morning Godzilla aint your bag, you can skip below and watch the hilarious Cartoon Network spoof below, Godzilla Vs. The Y2K Bug, using footage from the original cartoon. Stalking the forests of his tropical home, the massive dinosaur soon came across the Calico crew while they tried to return to the ship. The monster intercepted them and crushed the Godzilla signaler, but luckily Godzooky was there to call him manually. The nuclear leviathan rose from the sea to fight again, and as the two battled, their massive feet unearthed a pool of glowing uranium ore.
Not knowing of the substance's properties, Godzilla picked up the mud-like substance and was instantly transported back to his own age, leaving the Calico to defend for themselves. Once again, however, the group was saved, but this time by the native cave tribe. Dr. Quinn shouted out, telling the group to use the gray mud on them and the dinosaur.